From the chasms of earth and sea emerge the eternity of platinum, the opulence of gold, the indulgence of caviar and the luminosity of white caviar. Swiss luxury skincare brand La Prairie presents the next chapter of its unique story with a new film. 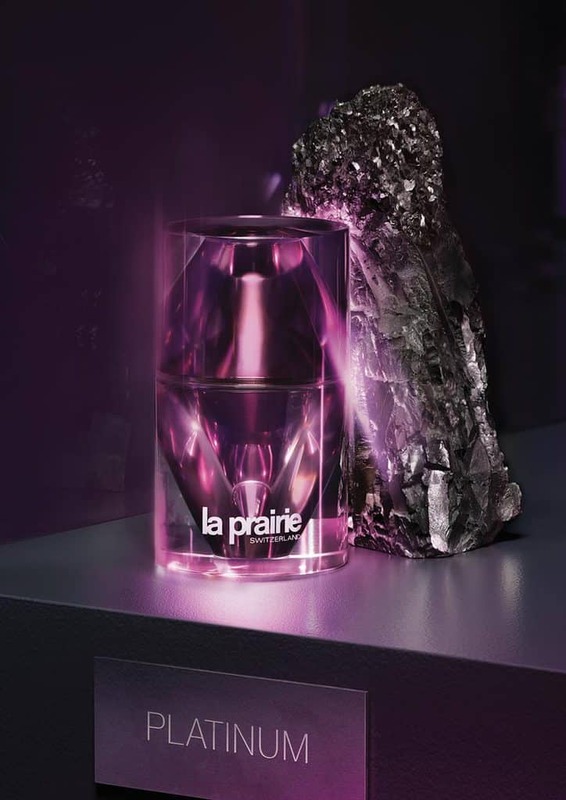 The two-minute video highlights La Prairie’s four rare, precious ingredients used in its signature luxury collections. 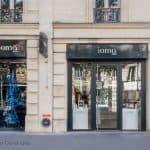 It underscores not only the Brand’s innovative, pioneering spirit in the world of skincare but also its place in the world of luxury. We do not know if the action is happening in Switzerland or abroad. The mystery remains while revealing a journey towards elegance, modernism and luxury. The silhouette of a woman weaves among the ingredients displayed like works of art in their raw, pure form. With the lightest of touches, her hand momentarily brushes against the glass cloche that encases each ingredient. 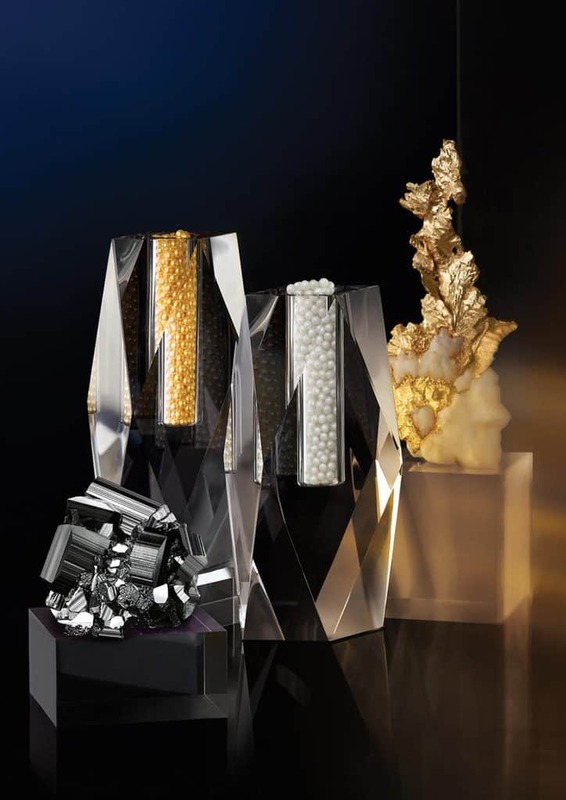 La Prairie excels in the art of luxury cosmetics. 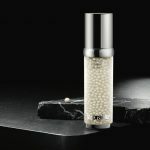 Since the launch of the Skin Caviar collection more than 30 years ago, the Swiss beauty brand set up the rules of luxury in the beauty business. The Skin Caviar collection set the principles of what should be a luxury skincare range in the beauty market. It is all about exclusive and edgy formulas, containing the best and rarest ingredients. It is about setting a beauty ritual in an elegant gesture and final but not least: provide a qualitative and clever packaging for your daily routine. 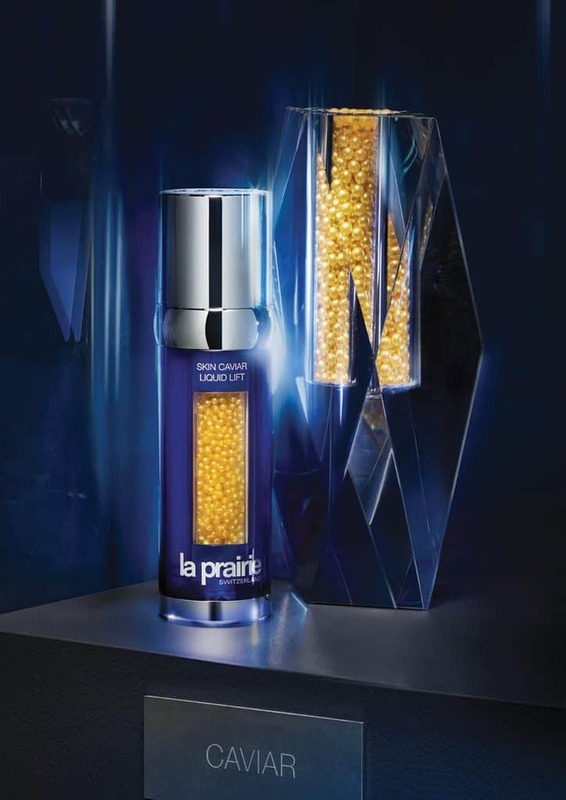 Since the launch of La Prairie Skin Caviar, the level of luxury beauty products was raised to the highest point. La Prairie did not stop there. It continued seeking the ultimate level of luxury and technology. Always further and innovative, the company’s approach of cosmetics is a never ending elegant story. The addition of rare and precious materials such as Gold and Platinum showcased cutting edge formulation at the service of your skin. Gold is among the first metals processed by humans. This is largely attributed to its golden colour and the fact that it is found in nature. The precious metal has been used for more than 6000 years for jewelry production and is an integral part of rituals in many cultures. Gold create a unique feeling of glamour, self-confidence and excitement for La Prairie’s customers but above all it has great skin applications. Gold helps to relieve the skin of harmful substances. It increases the acidity in the skin and works against fatigue. Gold is as any excellent surface catalyst. Gold helps to keep the skin looking young (by reflecting light off its surface), clear and smooth. The voiceover was written for the film and performed by Ladan Osman. Ms. Osman, an award-winning Somali-American poet whose work has appeared in numerous esteemed publications, began her collaborative relationship with the Brand with The Essence of La Prairie video, released last year. Six months in the making and produced by the brand’s in-house Creative Studio led by David Naouri, the film is the culmination of much introspection on just what La Prairie’s story is. La Prairie is the leader in luxury skincare, present in 90 countries around the world. 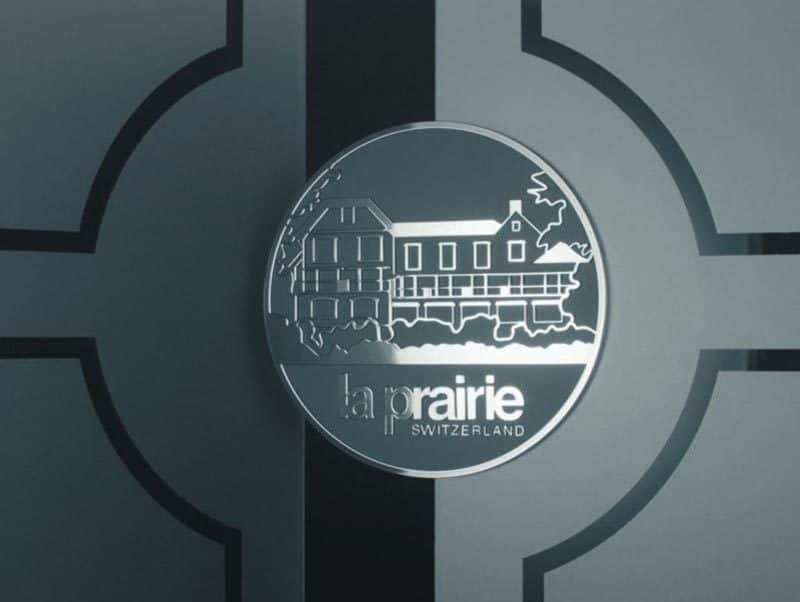 Synonymous not only with luxury, the La Prairie name evokes innovation, performance, high-touch service and Swissness — the purity, precision and excellence inherent to the extraordinary land that saw the brand’s inception in 1978. La Prairie endeavours to ful l a quest for timeless beauty through the highest standards of advanced technology combined with exquisite formulations and elegant packaging — elevating science to art.